LOCATION.--Lat 41°20'17.3", long 73°46'07.3" referenced to North American Datum of 1983, Westchester County, NY, Hydrologic Unit 02030101, on left bank 30 ft upstream from bridge on State Highway 6, and 0.7 mi southwest of Baldwin Place. PERIOD OF RECORD.--Occasional low-flow and/or miscellaneous discharge measurements, water years 1954, 1976-77. October 1995 to current year. GAGE.--Water-stage recorder and crest-stage gage. 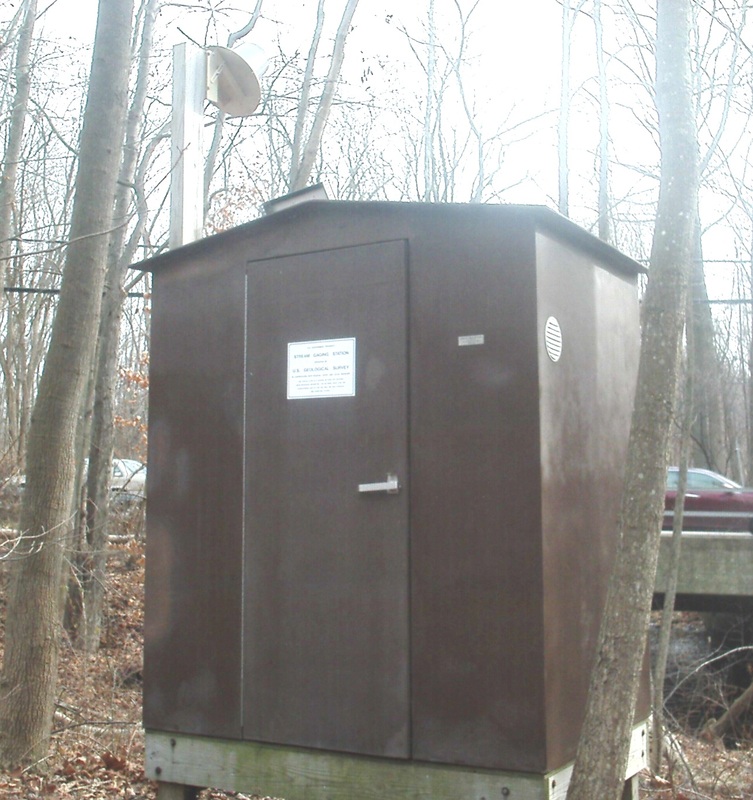 Datum of gage is 499.11 ft above NGVD of 1929 and 498.21 ft above NAVD of 1988. REMARKS.--Occasional seasonal regulation by Kirk Lake and Lake Mahopac. EXTREMES FOR PERIOD OF RECORD.--Maximum discharge, 1,020 ft³/s, Sept. 16, 1999, gage height, 9.42 ft, from rating curve extended above 480 ft³/s on basis of contracted-opening measurement of peak flow; minimum discharge, 0.08 ft³/s, Aug. 15, 2010; minimum gage height, 3.53 ft, Aug. 15, 2010, Sept. 7, 8, 28, 2015.